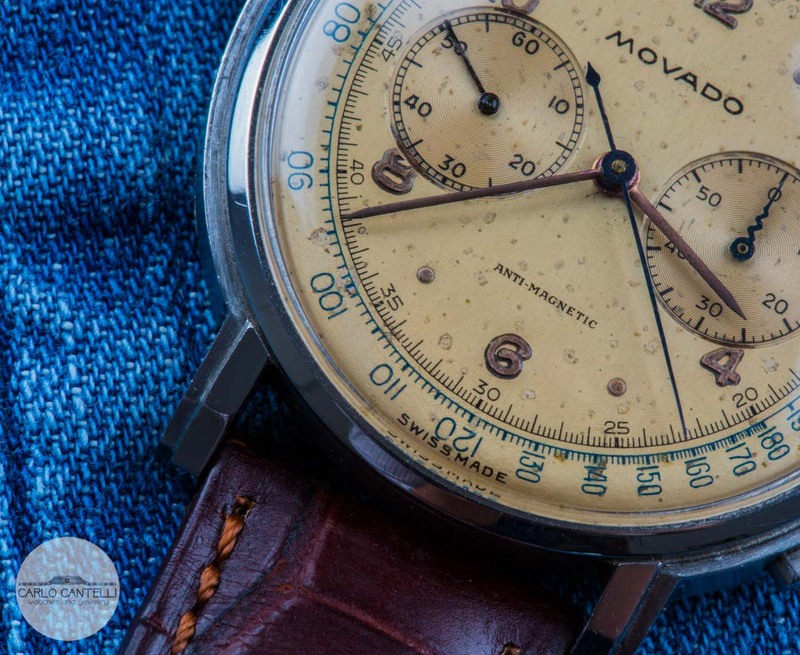 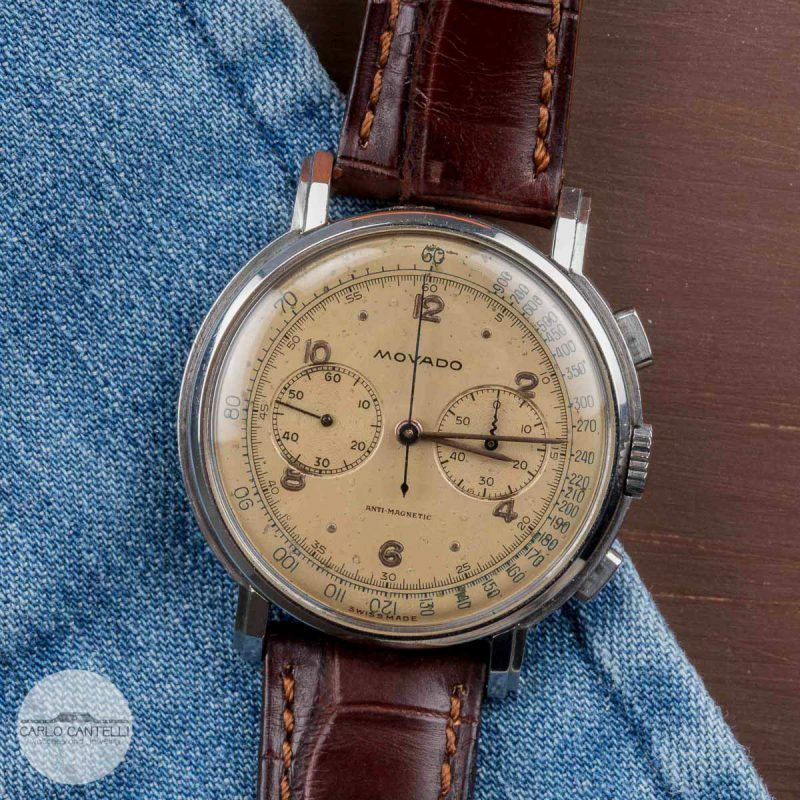 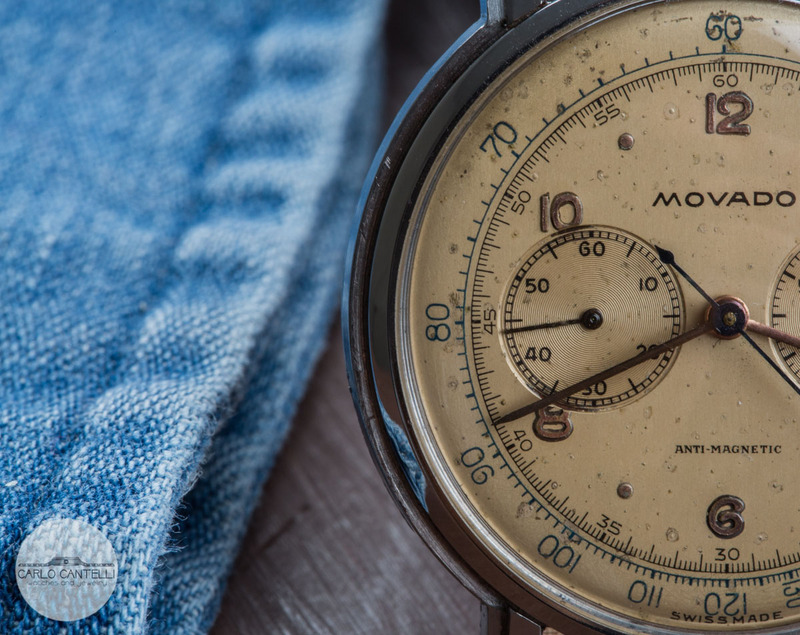 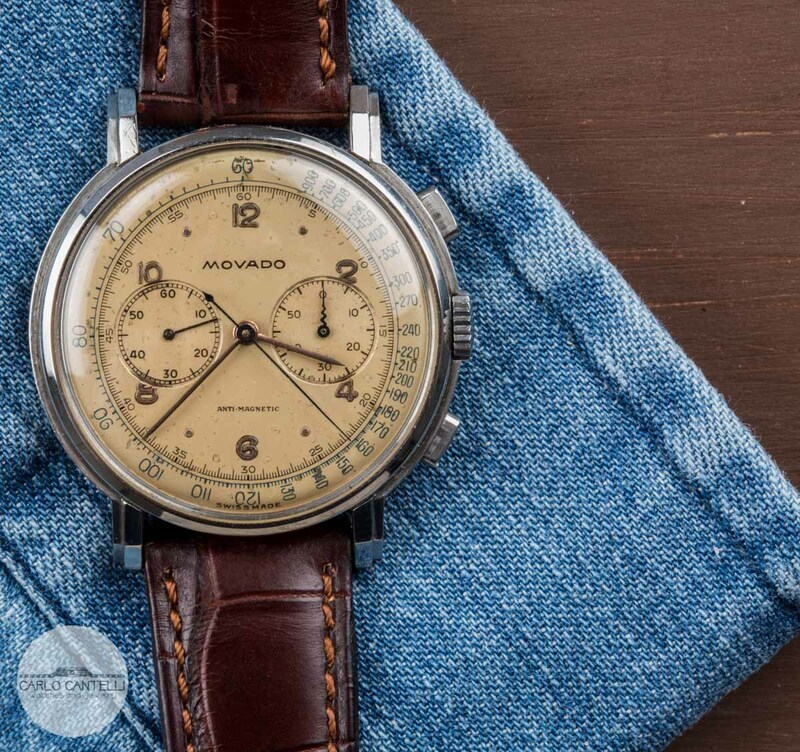 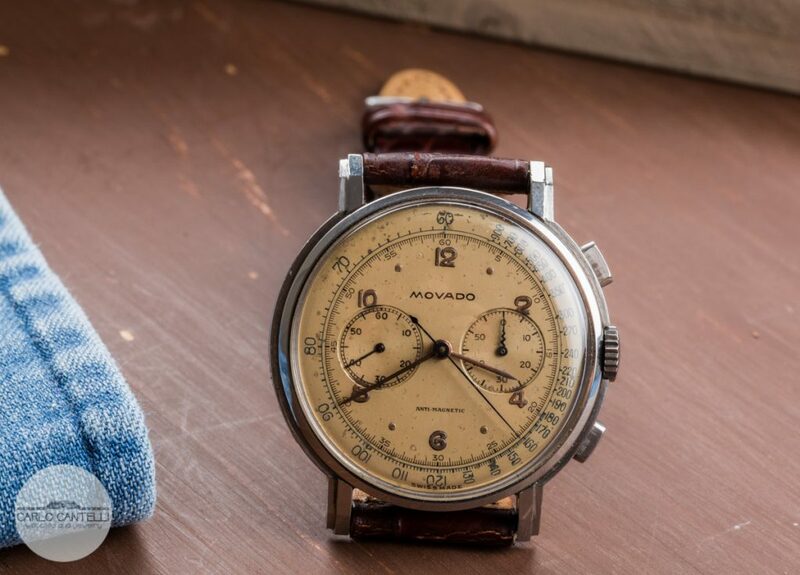 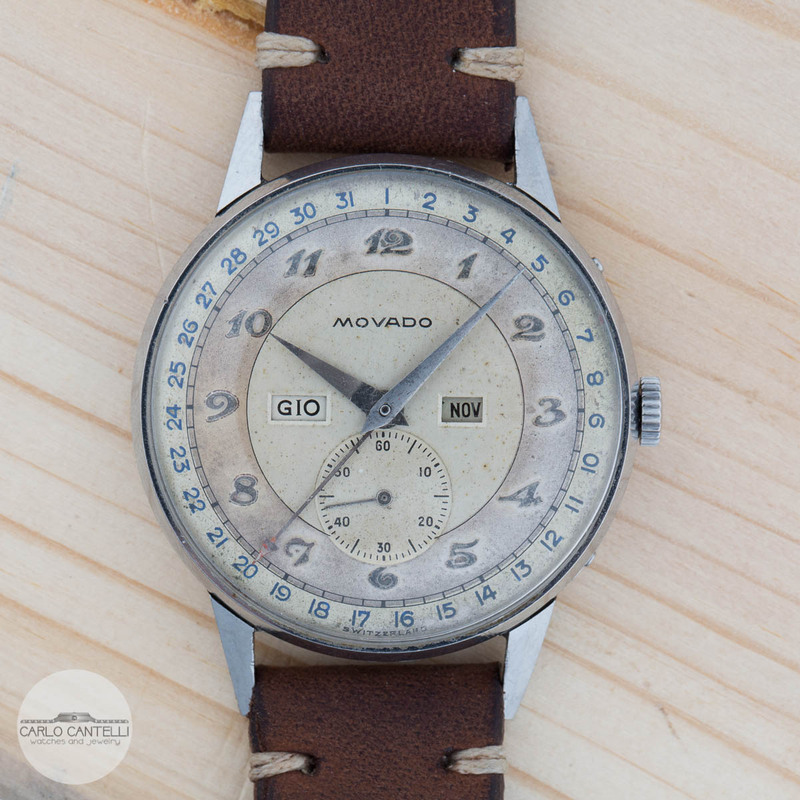 This amazing chronograph by movado can be dated around 1940 and with its unusual 37mm diameters is one of the biggest ever produced by Movado. 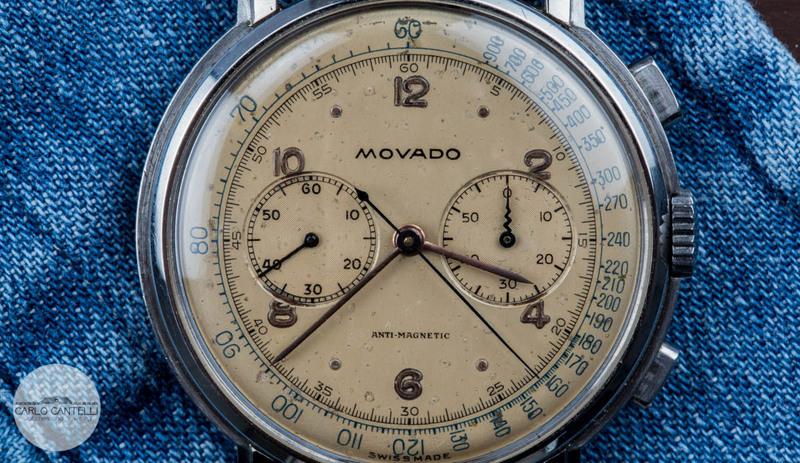 The dial, not reprinted, became tropical during the years. 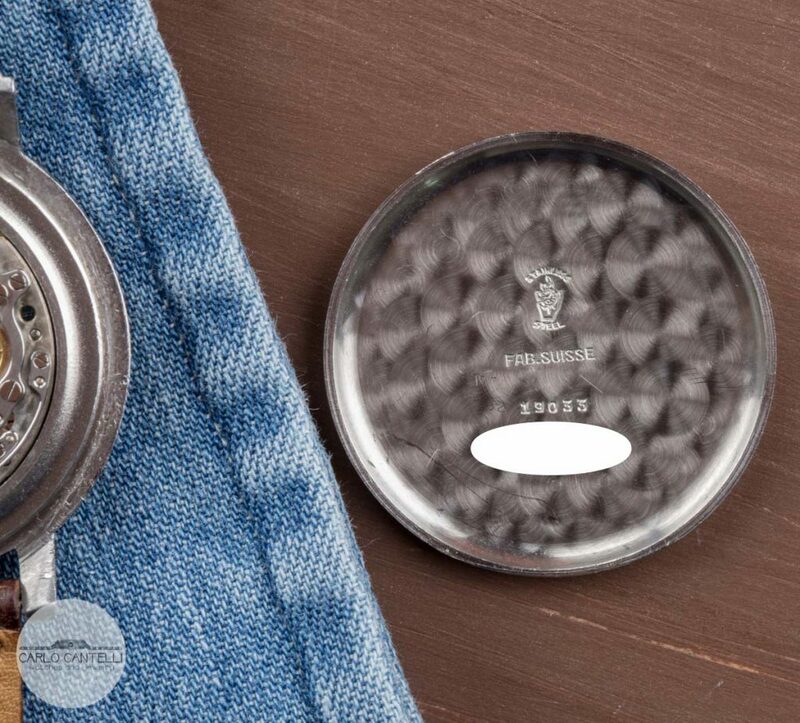 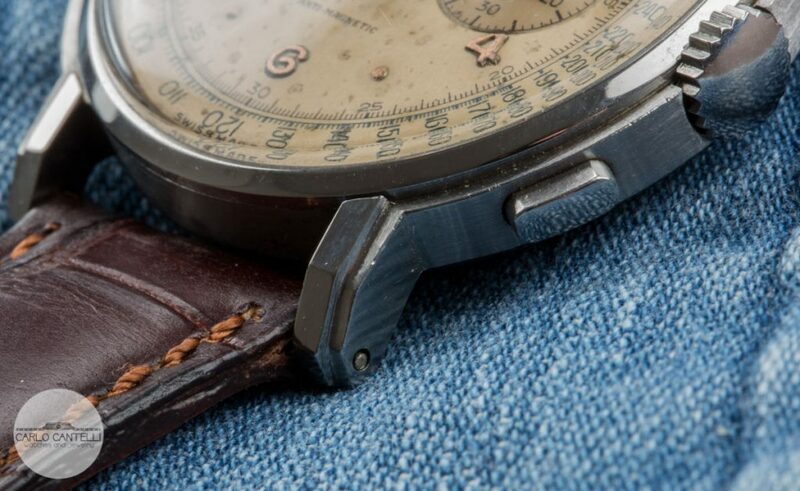 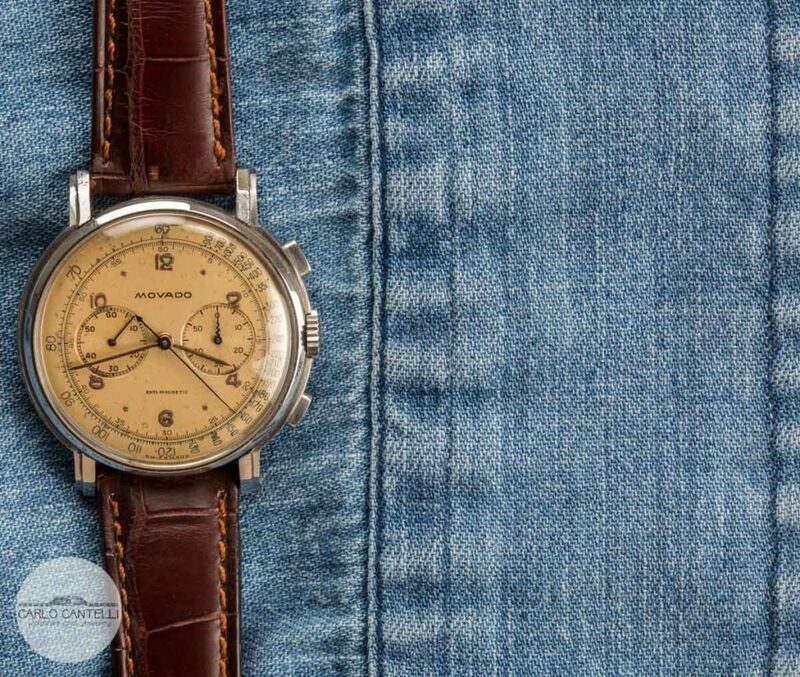 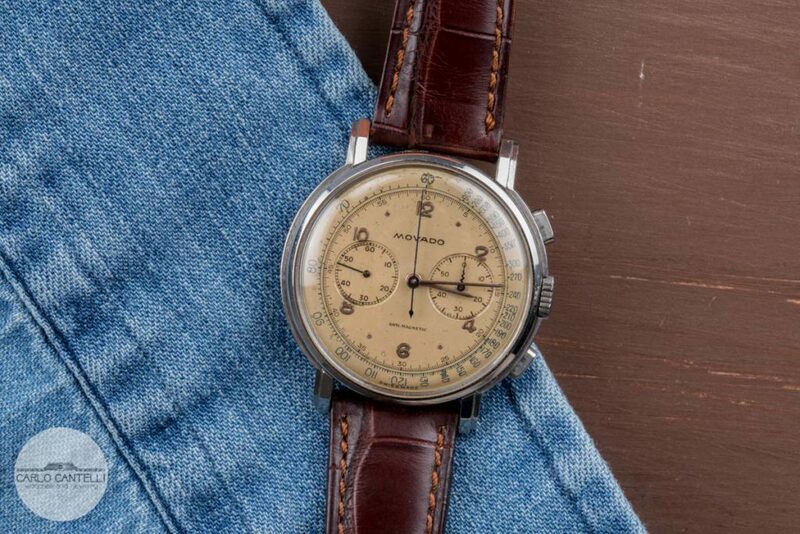 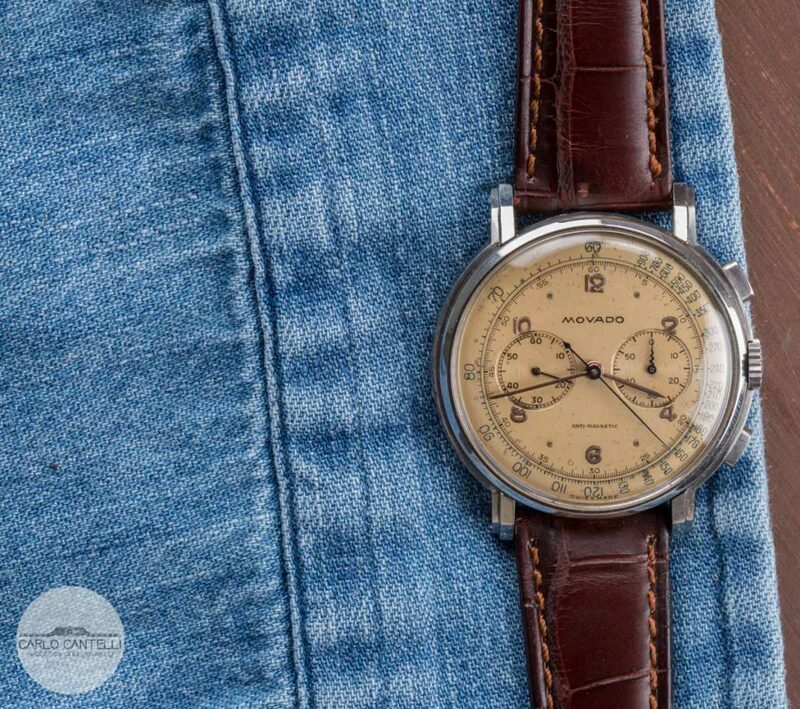 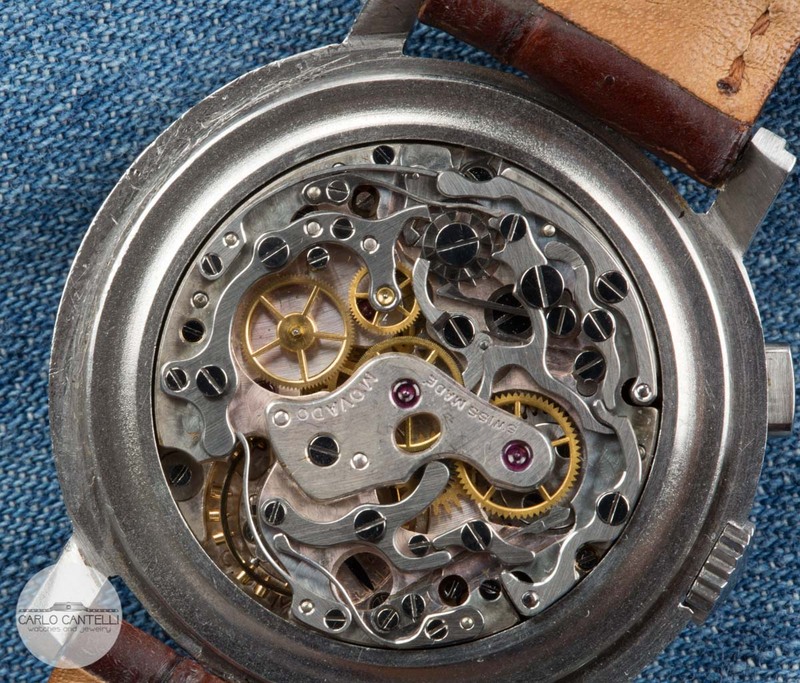 Some imperfection can be seen with a loupe, but the overall condition is excellent for a 70 years old watch. 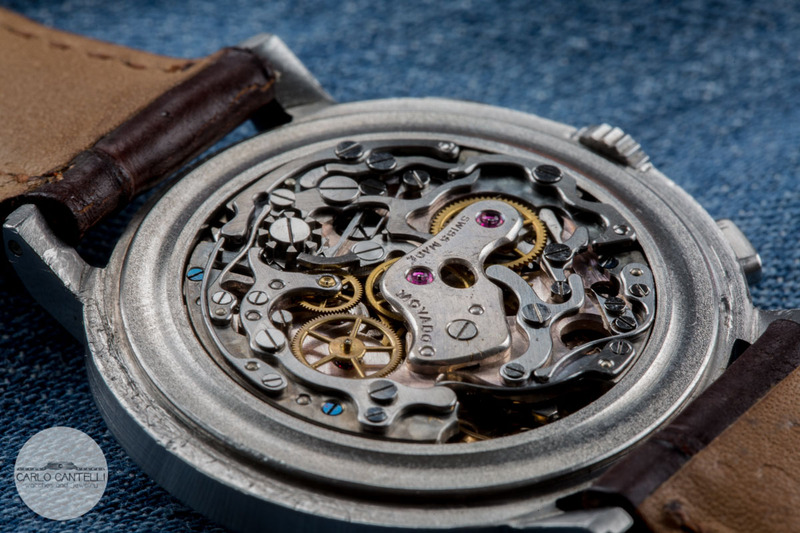 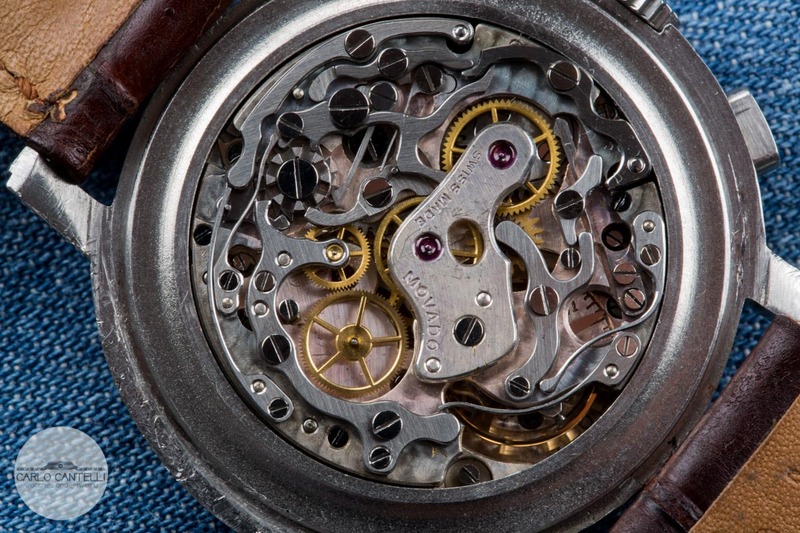 The M90 movement runs perfectly and it has recently been cleaned and serviced. The case has probably never been touched. 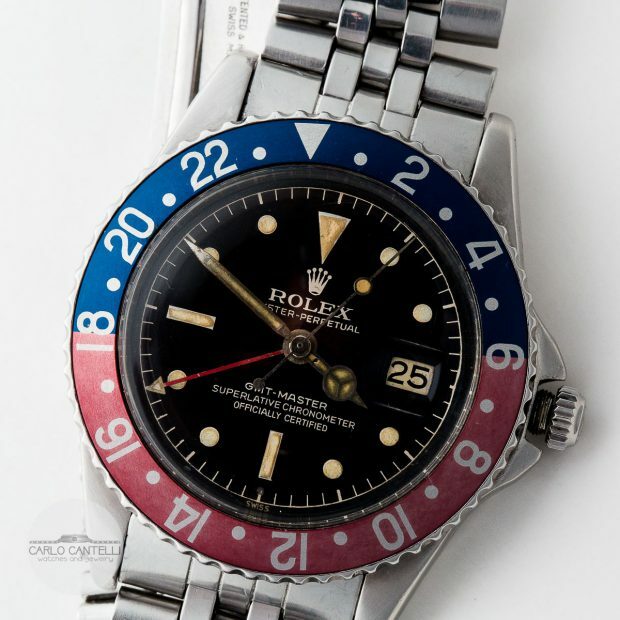 Moreover we would like to higlight that the original blue hands are still there as it should be. 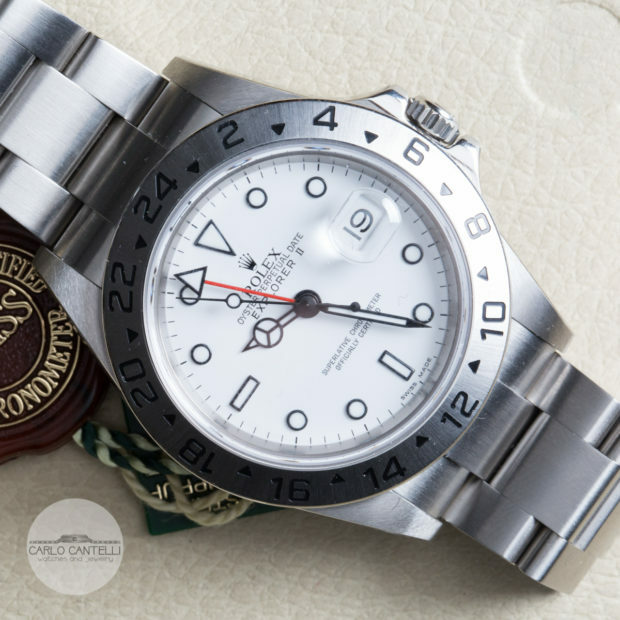 If you have questions fill the form below, we'll write you back as soon as possible. 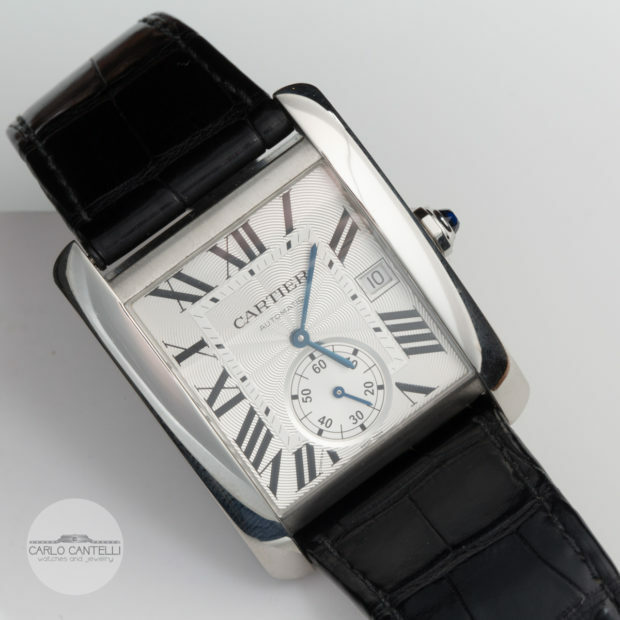 Contact us at info@cantelliorologi.com for more infos on products and the store.